East Coast Toyota isn’t just equipped to pair you with the car of your dreams – we’re more than ready to service your ride, too. Thanks to our highly trained technicians, we offer a variety of reliable services – along with limited-time specials to help cut costs – to the Toyota and Scion owners in Bergen, Hudson and Passaic Counties. With its unique, speedy, pit-crew-inspired approach, Toyota Express Maintenance offers plenty of appeal to our busiest customers. Schedule your appointment online, then simply bring your vehicle to our auto service center in Carlstadt, NJ and allow our Toyota-trained technicians to work their way through the routine – which includes an oil and filter change, brake inspection, tire rotation and fluid inspection and replenishment – as quickly as possible in order to help you get the show back on the road. In addition to providing the lightning-quick Toyota Express Maintenance, we’ll keep your brand-new vehicle up to date according to your ToyotaCare service plan. Covering two years or 25,000 miles worth of scheduled maintenance, whichever comes first, the plan also features 24-hour roadside assistance. Accidents happen, and we’re ready to service you with towing, jump starts, emergency tire service and more when you need it most. When it comes time to change out your vehicle’s battery, East Coast Toyota can help make the process easy. From warning lights to alternator issues, there are many signs that your battery is nearing the end of its life. Once you schedule your replacement appointment with East Coast Toyota, we’ll safely dispose of your old battery before installing a Toyota TrueStart replacement, which will deliver consistent performance, no matter the climate. We’ve got all the essentials on hand when it comes to brakes, too. Our calipers, rotors, shoes and drums are crafted specifically for Toyota vehicles, and our experts can ensure that they’re installed with the appropriate care and attention. If your tires are beginning to wear out, we can replace them at a competitive price. Our technicians will mount, balance and inflate your Genuine Toyota Tires to meet your vehicle’s needs, to ensure maximum fuel efficiency, performance and safety. Regardless of why you find yourself reaching out to our service department, it’s always a good idea to have your fluids checked – and if need be, our technicians can change your oil, which is imperative to do on a regular basis. Once we’ve drained your vehicle of its old oil, it will be replaced with genuine Toyota motor oil that’s carefully formulated to reduce corrosion and foaming. 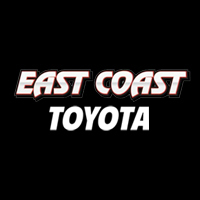 From AC repairs to brake inspections and beyond, East Coast Toyota’s technicians can perform the services needed to keep your Toyota or Scion running smoothly. Give our service department a call at 201-438-5659, or visit the auto service center at 181 Broad Street, Carlstadt, New Jersey to speak with a Toyota-trained technician.